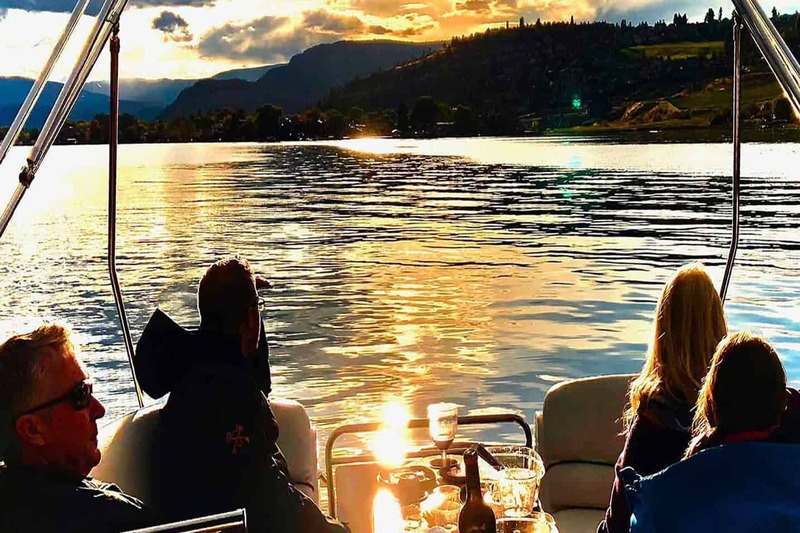 This a BIG towable has a large center area for up to 8 people to lounge on as a floating Island. What makes this towable so unique is it doubles as a 6 rider towable to step up the fun. Everyone sits facing each other while being pulled creating a swinging effect like that of a amusement ride. 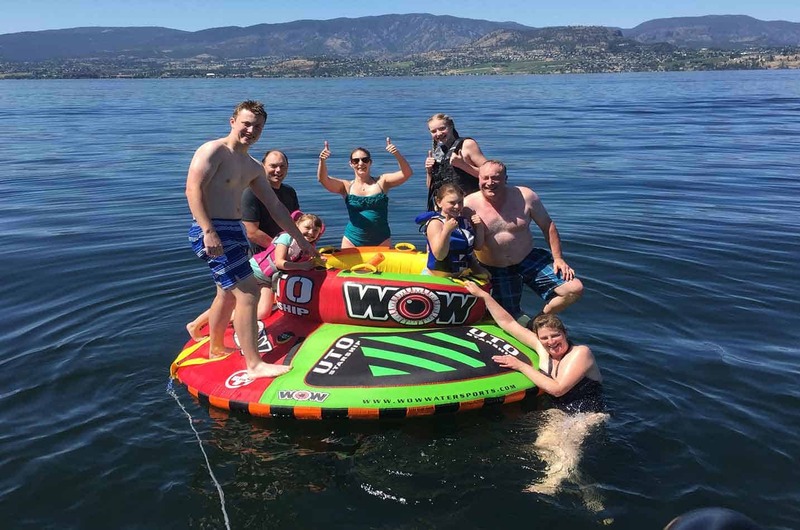 Kids of all ages, including adults love this towable! 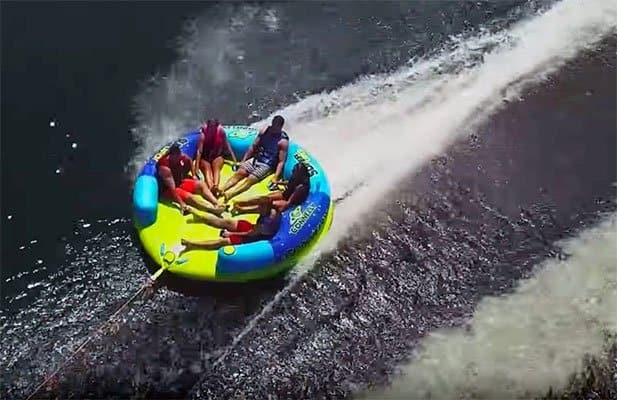 All about the WOW Adventure Tubing – The SUPER UFO- 2 Hour. 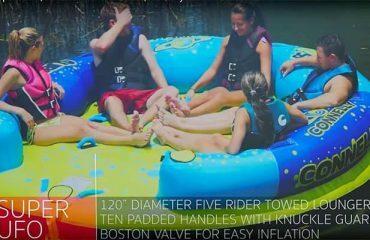 This towable tube is a giant tube for big families or groups of friends. With plenty of ways and places to sit, this tube is perfect for people who like to switch up their seats. 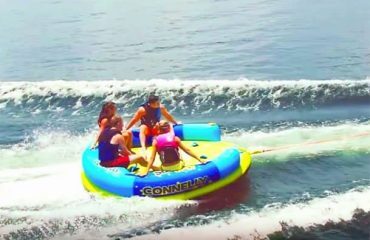 When not being towed, this tube is big enough to use as an island to anchor out and just play on or relax. The Super UFO! is a 6 rider sit-on-top tube with multiple position seating to accommodate anyone’s style. Sitting on the top deck, 6 riders are seated snugly against the backrest facing each other. Or for a different perspective, 4 riders can perch on top of the thick backrest for a bird’s eye view. When not in use, the Super UFO! makes for a great lounge or ”backyard” for the boat if you need some extra room to stretch out. Don’t forget to bring your sunglasses, cameras and towels, we collect shoes and flip flops at the entrance to Serendipity. We provide snacks and water, if you wish please bring along your own personal bevies and or lunches. 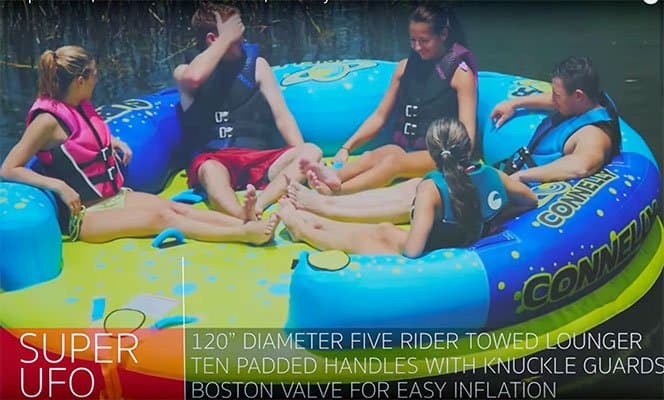 Prior to departing, we have everyone get comfortable and size everyone that is tubing with a proper sized lifejacket. This is followed by a boat briefing and where to find everything, and a thoughow safety briefing. Once we are settled in we depart to the tubing location. Please be on time or show early as the clock starts at your booking time. 1st 25 minutes Getting Wild! Loading the 1st crew (if more than 5 or 6 riders) into the UTO and go over hand signals and safety. Hang on if your riding on the wings! Loading the 2nd crew (if more than 5 or 6 riders) into the UTO and go over hand signals and safety. 1st group will most likely be bragging about the ride! We collect footwear at the time of boarding but if you wish bootys can work nicely while tubing, gloves can be useful as well. Unfortunately, as much as we love dogs, we do not allow them. Our upholstery and flooring are very expensive and would like to keep it that way!